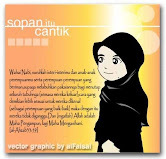 ::IsLaM Is The Way Of LiFe::: Salam Aildilfitri..Maaf Zahir & Batin.. This entry was posted on 11:04 PM . You can leave a response and follow any responses to this entry through the Subscribe to: Post Comments (Atom) .